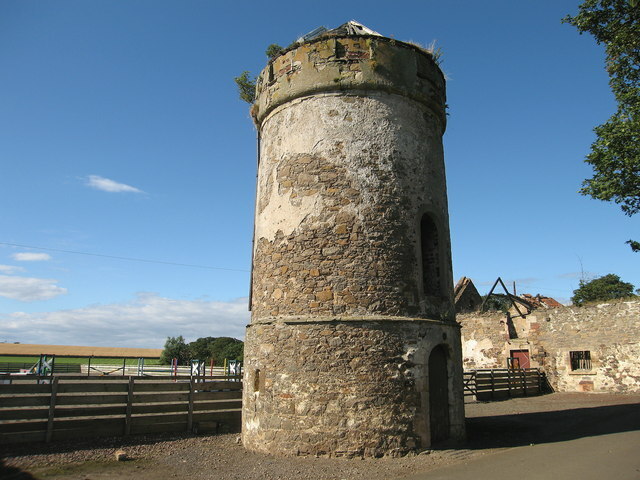 Originally 18th century windmill later used as Doocot. It is situated at Rockville farm steading. It is a circular plan and is 17ft in external diameter at base and stands 28ft high and is split in 3 stages, toped by a cone-shaped slated roof. Getting there: From North Berwick take the B1347 towards Kingston at the crossroads go straight over to Rockville. Access: Located on a farm so may need permission to access. No access inside.